Bookish Tees Just $14.99! Down From $33! FREE Shipping! You are here: Home / Great Deals / Bookish Tees Just $14.99! Down From $33! FREE Shipping! This deal ends today! 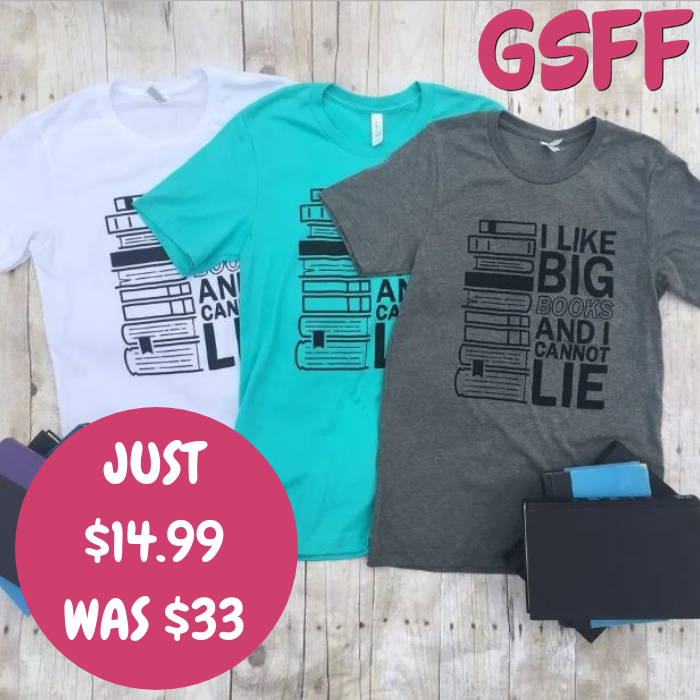 Jane is offering these Bookish Tees for just $14.99 down from $32.99 PLUS FREE shipping! Booknerds unite! These graphic tees make the perfect presents for all the book-lovers and writers in your life. Unisex sizing looks great on both men and women. Features high-quality ink on luxe, super soft combed and ring-spun fabric. These shirts will be sure to please even the most discerning bookish peeps!